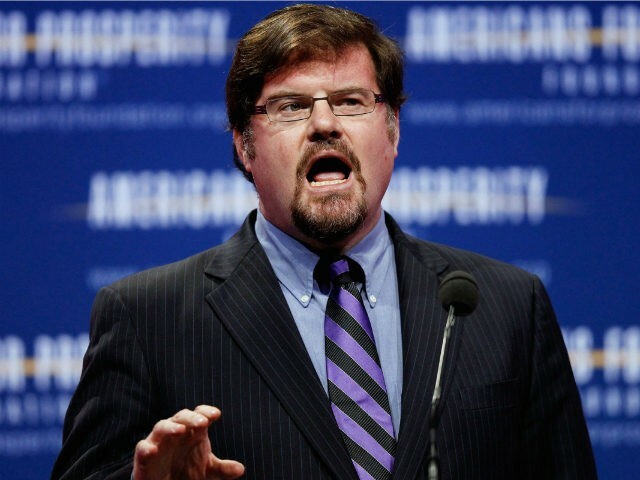 Jonah Goldberg, the guy who helped kill National Review, is leaving to launch a “Trump-skeptical” site with Steve Hayes, the guy who helped kill the Weekly Standard. You mean like CNN, MSNBC, the Washington Post, the New York Times, ABC, CBS, NBC, PBS, NPR, Mother Jones, Vox…? Yeah, that’s a business plan. “Trump-skeptical” is basically Never Trump’s version of “bi-curious,” which means Goldberg and Hayes intend to complete the transformation. National Review must be thrilled to unload Goldberg, a talented writer who has not had anything new to say for three years. We get it, Jonah, we get it — Orange Man Bad and anyone who disagrees is not a true Christian or conservative and– DEAR GOD, MAN, WE GET IT! Reading Jonah Goldberg is like having a roommate who won’t talk about anything else until you agree to hate his ex-wife as much as he does. Why not publish your ravings on a sheepskin scroll or stone tablets? Anyway, I look forward to all the upcoming “reporting-driven” stuff at Trump SkeptiGrift because as we all know, it is “facts” that animate Never Trump and not the narcissistic obsession to peacock their own virtue. All I know is that the remaining smugs in Never Trump are now siding with the baby killers and have rolled over on every conservative principle Trump is fighting for in order to be on television and be quoted by the former Politico hacks at Axios. Scarborough sold his soul and got a blonde wife and his own TV show. Never Trump sold their souls and got the Bulwark.